The Met Office is predicting strong winds to hit Lancashire on Friday evening and into Saturday. The unseasonably strong winds are forecast to be accompanied by heavy, blustery showers. The Met Office says that gusts of 40-45mph inland and stronger along the coast are expected. The weekend is also expected to be cooler than earlier this week, maximum temperatures 18C. 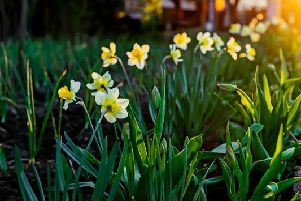 The Met Office forecast for Sunday to Tuesday said: "Sunny intervals, lighter winds and fewer showers on Sunday, but more persistent rain is expected on Monday. Further rain will affect at least the north of the region on Tuesday."